William Ernest Henley was a Scottish poet who faced no shortage of hardship in his life. He contracted tuberculosis of the bone at the age of twelve. Then when he was seventeen, his lower leg and foot had to be amputated because of the progression of the disease. In his early twenties he spent twenty months in the Royal Edinburgh Infirmary due to further complications, in which he almost lost his other leg, and during which he wrote Invictus and many other poems. He was friends with Robert Louis Stevenson, and when Stevenson wrote Treasure Island, years later, he based the complex jovial character of Long John Silver on Henley. So, interestingly enough, many people know at least the last line in Henley’s poem, and almost everyone has at least heard of Long John Silver. I would argue that few people know that they both came from the same man and his incidental hardships in a Scottish hospital. “Invictus” means “unconquerable” in Latin, and Henley certainly did have an unconquerable spirit in the face of his arbitrarily dealt life blows. Even in the face of death, his spirit seems unbowed. That indomitable spirit certainly made an impression on Lous Stevenson at least. And the thing that stands out most clearly to me is that this spirit is a clear choice he has made. And it’s a choice we can all make. In the face of the terrible stormy seas of life and whatever turbulent and absurd waves fate throws our way, we can either choose to cower in fear, or we can choose to be the captains of our own souls. For me this is a clear connection to the stars and the compass, which are featured in my art piece. When I make art, I don’t usually know where I’m going with it when I set out (ironically). In this case, I was hugely inspired by a chandelier I had seen on Pinterest from a celestial photoshoot, and, with time to kill and my sketchbook and pencil at the bar of my favorite coffee shop, I simply started sketching, first with the moon and stars garland, and then the compass emerged as well. Later I blended the line work with the watercolor and starry sky photograph as the background, and added the gold foil letters from Henley’s poem at the last minute on rather a whim. It simply felt like the two went together, just as well as the compass goes with the stars. The stars and navigation are a truly remarkable thing, when you think about it. Because the stars, being fixed points in the sky, are what sailors and sea captains have used for most of human history to literally orient themselves and navigate to their destinations. But it’s not just literal. Our myths and stories have a long history of the idea of wishing on stars; essentially, metaphorically using the stars to orient ourselves and navigate to our metaphorical (or perhaps metaphysical) destinations. Maybe the metaphorical use derives from the literal use in the first place. It’s a bit hard to say. Because the idea of light and stars as guides is so deeply embedded in human mythology that it’s hard to say which came first. Lucifer was the morning star, after all, God’s highest angel, and that tale is as old as time itself. So, we mere mortals aim for the stars. We shoot for them, you might even say. Because the stars are the highest possible good we can conceive of. 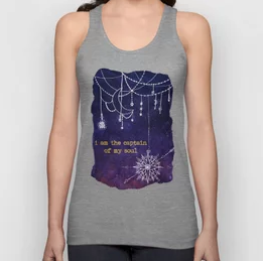 And perhaps because we have been using the stars to orient ourselves physically since the dawn of time too, so why not this too? But there’s something else implied in this sort of navigation; this captaining of our own souls, and it is this: we get to choose the direction in which we sail. 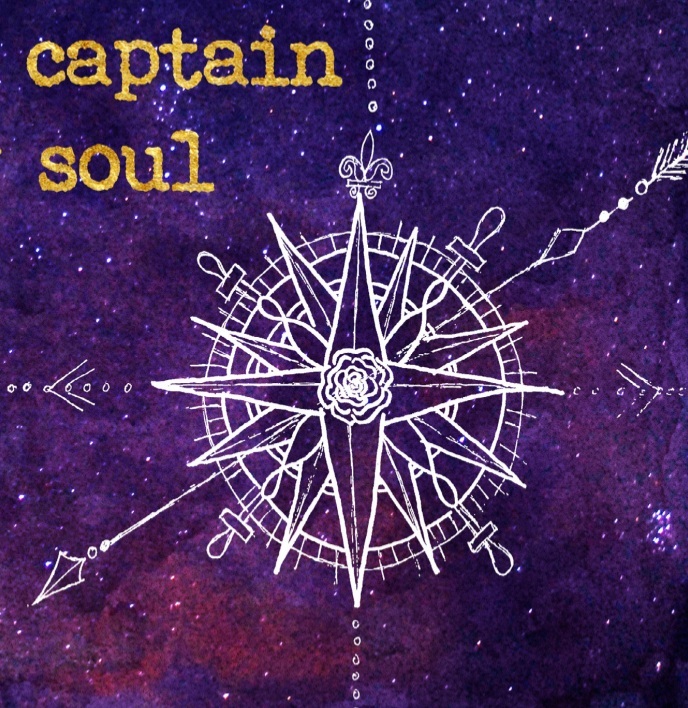 Metaphorically we are all captains of our souls, whether we take up that mantle with courage and forthrightness or not, it remains true. And that means that we choose the bearings. Or else we drift, aimless and lost, because the waters are constantly shifting beneath us either way. So, in order not to drift aimlessly, in order to not run aground and destroy the ship, we choose our goals, and we use the stars and compass to navigate our way there. More than that though, we choose the spirit with which we follow those goals, in the face of inevitable dangers and even that horrific shade of certain death. In fact, it is the certainty of our own mortality that helps us to determine what we want to do with the precious few moments we have on this planet in the first place. So in a way, choosing a goal at all means metaphorically staring death in the face and proceeding anyways. It’s a good reminder for us all, especially at the end of another January, when New Years resolutions made with bright eyed hope begin to look more like the arduous tasks of change they almost always are (at least the ones worth doing), that no matter how narrow the road in front of us, no matter how difficult the winds and the waters, no matter how strait the gate, we still get to choose our own destinations, and we get to choose the spirit with which we set sail. May we all remember to be the masters of our own fates and the captains of our own souls. Behind the scenes shot- Chai Tea Latte, Pinterest, and a sketchbook. Bliss. The final pen and ink drawing that became the line work in this piece. Part of the watercolor piece that later integrated with an astrophotography photo to become the background for this piece. Close up of the final piece. 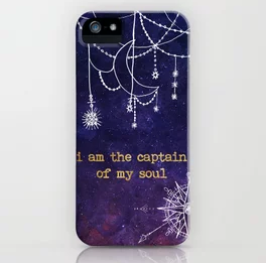 To support this blog, and to adorn your everyday life with this reminder to captain your own soul, visit my shop and get it on a pillow, travel mug, notebook, etc, here. To support this blog and my artistic work in general, consider becoming a Patron on Patreon, here.